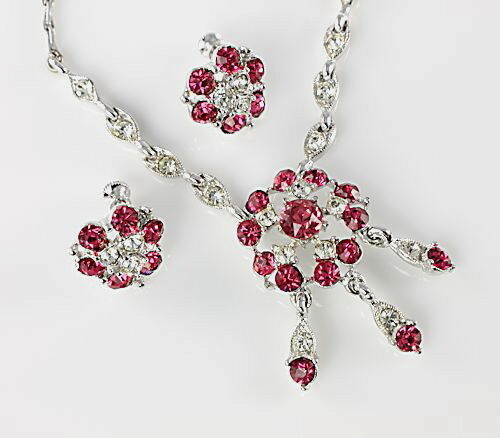 Superb Bogoff pink rhinestone necklace and earrings set in excellent vintage condition. 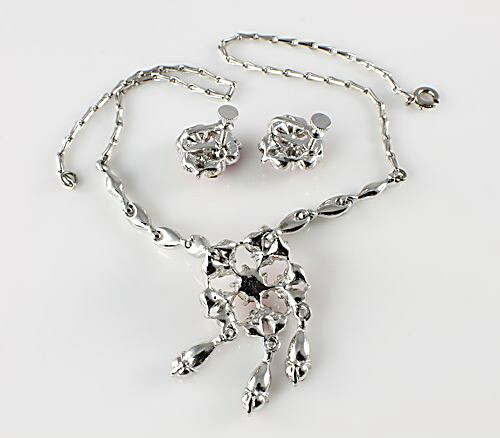 Metal is rhodium plated and has a rich gorgeous platinum look to it. Stones are all present and original to the pieces. The pink shade is very sweet and is complimented perfectly by the clear chatons and crisp brightness of the rhodium plating. Earrings are screw back and measure 5/8 inch in diameter. 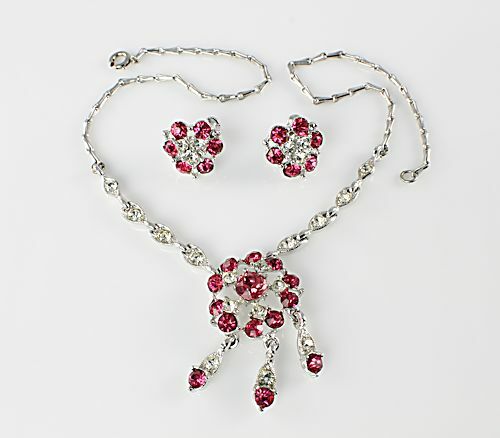 The drop in the necklace measures 1 1/2 inch by 1 inch and the length of the necklace is 15 inches. 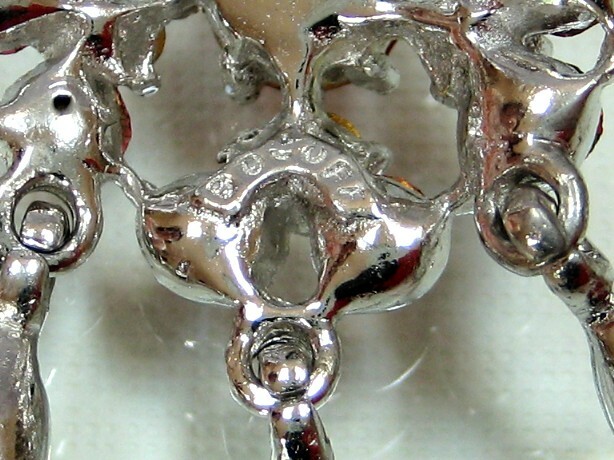 There is a beautiful millgrain metal work surrounding the rhinestones. Notice the wheat design of the chain. All pieces are signed BOGOFF.